Want the top tricks on how to get freebies? Unsure of how each method works? Noticed new Facebook adverts claiming free samples, but can't work out how to get them? What are the new Facebook ads... and how can I get freebies from them? Facebook is a huge, global platform reaching over 1 billion people every day. Therefore, it's no surprise that lots of major brands use Facebook as a key marketing tool to connect with new and existing customers. In order to increase transparency in Facebook advertising, it is now possible to see all of the ads a page is running by clicking this tab. Some of these ads are freebie giveaways via SoPost. However, in order for freebies to reach a brand's target audience, the advert must come up organically on a person's newsfeed. This means that going onto the Info & Ads tab and entering your details there, will not get you the freebie. ...how do I get a SoPost ad of a brand/product I am interested in to come up on my newsfeed? 'Like' the page and wait. If you spot a freebie giveaway in Info & Ads, 'Like' and 'Follow' the page and keep an eye on your newsfeed for the advert to appear. Click 'Sign Up' and enter your details as normal. Please note, that this is not guaranteed as Facebook uses other attributes to determine which ads appear in your newsfeed. Get ahead of the game and 'Like' all your favourite brands now. I don't have Facebook - what about me? If you don't have Facebook, you might be feeling left out the loop. As Facebook is such a huge platform, it's no wonder that companies are choosing it more and more for marketing campaigns. Social media cleverly cuts out the middleman, allowing the brand to get in touch directly with the consumer themselves. There are lots of other ways to claim freebies (read on to find out more! ), so you do not need to sign up to receive freebies. If you're still not convinced to sign up for the social media giant, why not take matters into your own hands? When you notice a brand is doing a Facebook freebie giveaway, send over an email to their customer service team explaining that you do not have Facebook, but are interested in trying their products. Remember to be polite (they are under no obligation after all) and you (might) find your efforts rewarded. What other ways can I get freebies? Freebies come in all shapes and sizes... and so do the methods used to get them. Giveaways, competitions, product testing, cashback apps - the list goes on. Here, I'll go into detail on the different methods that we use to achieve freebies. Let's get going! We received all this (and more!) through freebie giveaways. The most popular type of freebie (and the one you're most likely to achieve with minimal effort). Companies arrange their own sample giveaways that are often given away on a first-come-first-served basis. You have to be quick to snap these up! Sign up for Magic Freebies WhatsApp alerts for all our short-term freebies. These are the freebies that we think will expire quickly (often makeup and perfume samples) so are well worth signing up for. Want a freebie now? Get yourself some Free Marmite (there's 250,000 available) and a Free Baileys Miniature. Yum! Freebie finder Victoria won this fab KitSound Wireless Speaker through a competition! You're less likely to win, however the prize is normally greater. Competitions are a great way to get freebies, and they normally don't require a lot of legwork. Just enter your contact details and keep your fingers crossed. Want the secrets of the trade? Check out our mammoth guide on competitions now: Free Competitions - how to win free stuff today! Freebie finder Lyndsey received a free bag of Purina ONE through a product testing trial. Product testing trials are an amazing way to test out products that are of interest to you (normally full-sized). Simply sign up, enter in as much information as you can and wait to be selected for trials. In the past, our users have received full-sized bags of pet food, electric toothbrushes, bottles of perfume, face wash and plenty more. 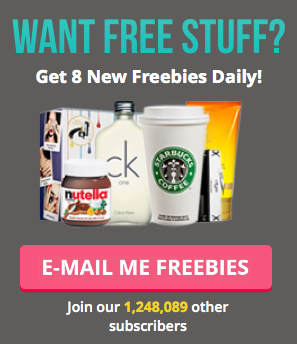 Sign up today to see what wonderful freebies you can get too. It's now more important than ever for brands to keep customers loyal. The introduction of reward/loyalty schemes are a fantastic way to keep customers returning... and score you extra perks along the way. Our favourite at Magic Freebies is the Debenhams Beauty Club. Each month (sometimes more) a new beauty freebie is released. Products are always of a high calibre, with previous brands including Kiehl's, Chanel, ELEMIS and Clarins. The rise of the smartphone has given birth to another freebie method: cashback apps. Supermarket cashback apps Shopmium and CheckoutSmart are our favourites, with new freebies and offers being updated every day. Both are very user-friendly, and you can normally expect to get your cashback within 48 hours. Not convinced? Check out our post: 7 most popular mobile cashback myths debunked. Sounds great, let's get going! Hopefully this blog post has helped clear up how to get freebies and the different methods of applying. We apply for each freebie ourselves so make sure you check out the freebie description if you're ever unsure. As always, please get in touch if there's anything we've missed off or anything more you'd like to know!